Are you against Syrian President Bashar Assad like Obama and Hilary are? 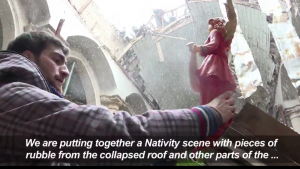 Thanks to Putin/Assad Catholics in Aleppo have Christmas Mass 1st time in 5 years! Assad has always supported and protected the Christians. How can our country get it so wrong? 1st Christmas Mass in Aleppo in 5 years!